If you’re a foam bed lover who’s looking for luxury, the Therapedic Specialty line might be a good fit for you. The mattress company launched a specialty bedding line in 2016; the collection includes five mattresses that use higher-quality materials than those found in its innerspring and hybrid mattress collections. In general, Therapedic markets its ability to provide a myriad of innerspring, hybrid, latex, and memory foam mattresses at various price points, so that everyone can find a bed that works for them. Additionally, the company uses orthopedic bedding, another way of saying that the beds are designed to support the joints, back, and overall body. Since we’ve reviewed the innerspring and hybrid collections, now it’s time to look at how Therapedic levels up with its specialty line. We’ve done all the dirty — err, fun — work so any and every question you’ve had about this mattress set will be answered here. Let’s dive in! If the name didn’t make it obvious, Therapedic was founded back in 1957 using a play-on-words with the term “therapeutic.” The company has always aimed to provide relief to its customers, starting with the single mattress it began manufacturing in New Jersey when the company was founded. After finding success in its product, Therapedic started to license to other mattress factories under their brand label. Thereafter, Therapedic claims to have become one of the first mattress companies that have licensed its brand name worldwide, and today the company has over fifty international licenses. In addition to mattresses, you can buy bedding, pillows, and even pet beds from Therapedic. While the five mattresses in this collection are all considered “specialty,” they each are constructed quite differently. However, there is one thing that ties them all together, and that’s foam. Let’s look a little more in-depth at each mattress in the collection. There are two Bravura models in this collection, and the first one features latex foam. This mattress includes layers of latex for resiliency, durability, and support, along with a top layer of copper-infused latex. According to Therapedic, copper is antimicrobial and can potentially help with blood circulation and cooling while encouraging brain stimulation during sleep. The other Bravura bed spotlights — you guessed it — memory foam. Known for its contouring properties, this mattress featuring layers of specialized memory foam, along with that same top layer of copper-infused memory foam. Other foam layers include Energex™foam for pressure relief and comfort over a variety of temperatures, and a base foam for durable support. If you’re looking for something that supports the environment, look no further than the Eco Gel 2. 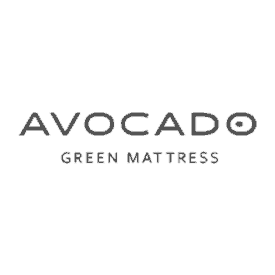 This mattress features an environmentally friendly, gel infused memory foam that is known to stay cooler than standard memory foam. There is also zoned support for your shoulder, hips, and lower back, along with the use of dynaflow cooling fabric for added airflow. According to Therapedic, the foam used in this bed was originally designed for NASA astronauts to relieve the pressure of gravity. The foams used here — memory gel foam, convoluted foam, and base foam — offer a solid mix of cooling comfort, pressure relief, and durability. 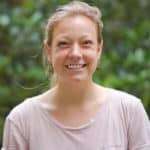 Another eco-option is the Pure Touch mattress, which uses natural latex rubber foam that is made from the sap of the rubber tree. The down-low of this mattress is it offers a cool environment, quick response comfort, natural support, and a 99.9% anti-microbial sleep surface. Layers include natural latex, support foam, convoluted foam, and a durable base foam. Memory foam has a slow bounce back, meaning it retains the body’s shape for a few seconds after being indented. It also molds around the contours of the body. Unlike memory foam, latex “pushes back,” which means it feels more firm than memory foam and provides solid pressure relief. Foam latex also uses all-natural raw materials and the production process is typically extremely clean. For this collection, while each mattress is made with layers of foam, they are all constructed a bit differently. In other words, they each will various types of comfort and feel. There is no information available around how thick these layers of foam are, which makes it tricky to decipher how soft or firm each bed is. Having said that, the Bravura Latex and Pure Touch mattresses will most likely have a lighter feel, more bounce, a faster response time, and less hug than the memory foam mattresses. They will also regulate heat better since it has air pockets integrated into the molding of the latex foam. The Bravura Memory Foam, Eco Gel 2, and Memory Touch all feature memory foam, and will most likely promise deep pressure relief, sinkage, and a hugging quality. A major pitfall of memory foam is it traps heat, making it harder to keep cool. Remember: The reviews for these specialty mattresses are few and far between. While these are general characteristics of foam beds, it’s also important to take into account your individual preferences as opposed to broad-strokes generalizations. To understand the true Therapedic feel, look up a mattress retail store near you and test it out for yourself! If you want to better understand the feel of Therapedic, sometimes a comparison does the trick! 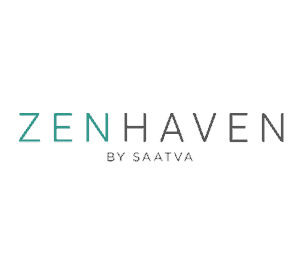 For the latex models (Bravura and Pure Touch), comparable brands include Zenhaven, a latex mattress known for solid bounce and good pressure relief and Avocado, an eco-friendly latex option that’s on the firmer end of the spectrum. For memory foam, you’ll likely find similarities in feel (and price point) to Tempurpedic, which provides that classic, contouring feel of memory foam. For an eco-friendly version, Loom and Leaf provide a plant-based memory foam mattress that is known for excellent pressure relief with a pleasant sinking feel. The gel foam used on top also helps to keep this bed cool. Save $100 off your purchase with our exclusive discount! Retail only: You can’t purchase any of these mattresses online. In order to test ‘em out and maybe purchase one, you’ll need to head to a retail store near you. Warranty depends on the model: The warranty covers manufacturer’s workmanship and materials, but the number of years you’ll be covered depends on which one you purchase. Model variety: What people tend to appreciate about Therapedic is there is something for everyone. If you want a higher-end bed with layers of foam, you have five to choose from with Therapedic. For something a little more budget-friendly, you can browse the various hybrid and innerspring beds. Pressure relief: In general, foam beds are known for providing excellent pressure relief in various zones throughout the body. 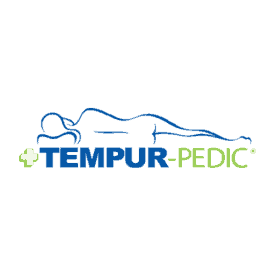 Since Therapedic uses orthopedic bedding, each mattress is also designed to provide extra support for the shoulders, hip, and lumbar. Use of copper: We’re no scientists, but Therapedic touts that using copper in their foams will provide various benefits, like including anti-aging, anti-inflammatory, and non-allergenic properties. If you’re interested in this value-add, the Bravura models are the way to go! Durability: For Therapedic beds across the board, a handful of reviewers have said that these mattresses wear down quickly and begin to sag in the middle of the mattress. Hot: While some of the Therapedic Specialty mattresses use a gel foam to provide cooling support, and others use latex, beware of the full-on memory foam mattresses, which are generally known for retaining heat. 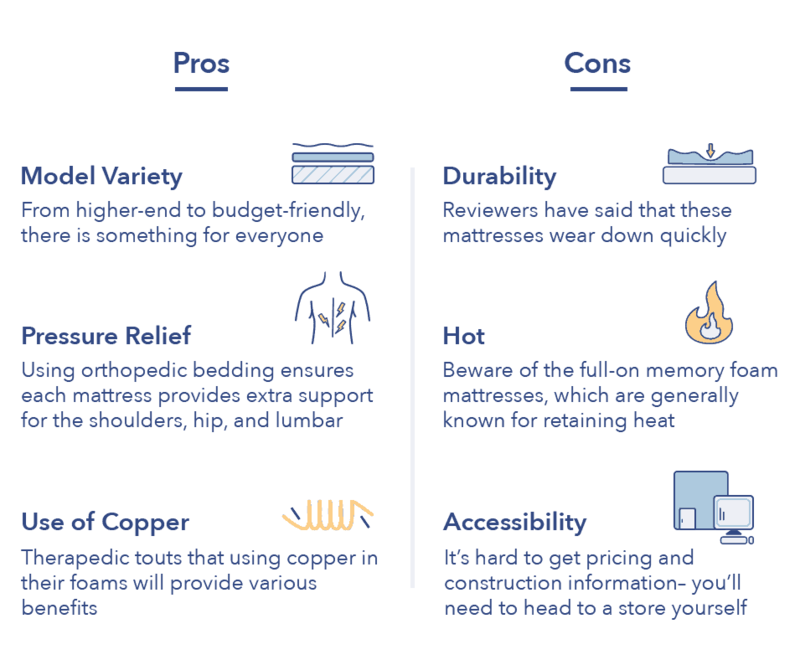 Accessibility: While Therapedic is a big bedding brand, it’s hard to get pricing and construction information online, and you’ll need to head to a store to purchase one yourself. This is definitely not a bed-in-a-box situation! Since this is a specialty line, that also means these beds will be a bit more pricey than the other mattresses on the Therapedic Hybrid and Innerspring lines. Based on our research, the Queen-sized version of these mattresses ranges from $1,299 to $3,999. Going to a store that stocks the specific bed you’re looking for will give you exact amounts. Is the Therapedic Specialty Mattress Collection Right for You? You want something luxury. These five mattresses are specifically in the “luxury” category, meaning they use higher-end materials, and generally thicker, and should have a long life. If you want to level-up your bedroom and purchase something that is really seen as an investment for you and your sleep, it might be a good idea to try out a Therapedic mattress at a store near you. You’re a foam lover. All of these mattresses use foam — and only foam — so if springs aren’t your style and you love your body being hugged while receiving good pressure relief, a bed in this line might be a great fit. You want an eco-friendly option. Oftentimes “luxury” and “eco-friendly” don’t go hand-in-hand. However, two of the five beds in this collection are better for the environment, including the Eco Gel 2, which uses environmentally friendly gel infused memory foam, and the Pure Touch, which uses a natural latex rubber foam that comes straight from the sap of the rubber tree. At the end of the day, if you’re looking for a higher-end, all-foam mattress, Therapedic is a nice place to start looking. From latex to memory foam, eco-friendly to copper infused, there’s a little bit for everyone. That said, keep in mind that exact pricing, height, and warranty information can only be obtained by someone at a retail store, so if you’re interested in learning the fine print, head to one soon!